If we observe our own minds, we shall notice how easily diverted our thoughts are, how often they behave like undisciplined disputants constantly interrupting each other and refusing to listen to the other side’s arguments. Mindfulness, though so highly praised and capable of such great achievements, is not at all a "mystical" state, beyond the ken and reach of the average person. It is, on the contrary, something quite simple and common, and very familiar to us. It is a significant fact and worth pondering upon that the Bible commences with the words: “In the beginning God created the heaven and the earth....", while the Dhammapada … opens with the words "Mind precedes things, dominates them, creates them". These momentous words are the quiet and uncontending, but unshakeable reply of the Buddha to that biblical belief. Here the roads of these two religions part: the one leads far away into an imaginary Beyond, the other leads straight home, into man's very heart. When once clear awareness and comprehension have been firmly established in a limited but vital sector of the mind’s expanse, the light will gradually and naturally spread, and will reach even distant and obscure corners of the mind’s realm which hitherto had been inaccessible. This will mainly be due to the fact that the instrument of that search for knowledge will have undergone a radical change: the searching mind itself will have gained in lucidity and penetrative strength. Nyanaponika Thera (born Siegmund Feniger) or Nyaniponika Mahathera (July 21, 1901, Hanau – 19 October 1994, Forest Hermitage, Kandy, Ceylon) was a German-born Sri-Lanka-ordained Theravada monk, co-founder of the Buddhist Publication Society, contemporary author of numerous seminal Theravada books, and teacher of contemporary Western Buddhist leaders such as Bhikkhu Bodhi. Some doubt may arise in the minds of Western men how they could be helped in their present problems by a doctrine of the far and foreign East. And others, even in the East, may ask how words spoken 2,500 years ago can have relevance to our ‘modern world’, except in a very general sense. Those who raise the objection of distance in space (meaning by it, properly, the difference of race), should ask themselves whether Benares is truly more foreign to a citizen of London than Nazareth from where a teaching has issued that to that very citizen has become a familiar and important part of his life and thought. They should further he willing to admit that mathematical laws, found out long ago in distant Greece, are of no less validity today, in Britain or elsewhere. But particularly these objectors should consider the numerous basic facts of life that are common to all humanity. It is about them that the Buddha preeminently speaks. Those who raise the objection of the distance in time, will certainly recall many golden words of long-dead sages and poets which strike such a deep and kindred chord in our own hearts that we very vividly feel a living and intimate contact with those great ones who have left this world long ago. Such experience contrasts with the "very much present" silly chatter of society, newspapers or radio, which, when compared with those ancient voices of wisdom and beauty, will appear to emanate from the mental level of stone-age man tricked out in modern trappings. True wisdom is always young, and always near to the grasp of an open mind. Mindfulness, though so highly praised and capable of such great achievements, is not at all a “mystical” state, beyond the ken and reach of the average person. It is, on the contrary, something quite simple and common, and very familiar to us. Attention or mindfulness is kept to a bare registering of the facts observed, without reacting to them by deed, speech or by mental comment which may be one of self-reference (like, dislike, etc. ), judgment or reflection. If during the time, short or long, given to the practice of Bare Attention, any such comments arise in one’s mind, they themselves are made objects of Bare Attention, and are neither repudiated nor pursued, but are dismissed, after a brief mental note has been made of them. Bare Attention consists in a bare and exact registering of the object. This is not as easy a task as it may appear, since it is not what we normally do, except when engaged in disinterested investigation. Normally man is not concerned with a disinterested knowledge of “things as they truly are,” but with “handling” and judging them from the viewpoint of his self-interest, which may be wide or narrow, noble or low. He tacks labels to the things which form his physical and mental universe, and these labels mostly show clearly the impress of his self-interest and his limited vision. It is such an assemblage of labels in which he generally lives and which determines his actions and reactions. Mind is the very element in and through which we live, yet it is what is most elusive and mysterious. Bare Attention, however, by first attending patiently to the basic facts of the mental processes, is capable of shedding light on mind’s mysterious darkness, and of obtaining a firm hold on its elusive flow. A specimen of research that is to be examined with the help of a microscope has first to be carefully prepared, cleaned, freed from extraneous matter, and firmly kept under the lens. In a similar way, the “bare object” to be examined by wisdom, is prepared by Bare Attention. It cleans the object of investigation from the impurities of prejudice and passion; it frees it from alien admixtures and from points of view not pertaining to it; it holds it firmly before the Eye of Wisdom, by slowing down the transition from the receptive to the active phase of the perceptual or cognitive process, thus giving a vastly improved chance for close and dispassionate investigation. Bare Attention first allows things to speak for themselves, without interruption by final verdicts pronounced too hastily. Bare Attention gives them a chance to finish their speaking, and one will thus get to learn that, in fact, they have much to say about themselves, which formerly was mostly ignored by rashness or was drowned in the inner and outer noise in which ordinary man normally lives. Because Bare Attention sees things without the narrowing and leveling effect of habitual judgments, it sees them ever anew, as it for the first time; therefore it will happen with progressive frequency that things will have something new and worthwhile to reveal. Patient pausing in such an attitude of Bare Attention will open wide horizons to one’s understanding, denied to the strained efforts of an impatient intellect. Owing to a rash or habitual limiting, labeling, misjudging, and mishandling of things, important sources of knowledge often remain closed. It will become an immediate certainty to the meditator that mind is nothing beyond its cognizing function. Nowhere, behind or within the function, can any individual agent or abiding entity be detected. By way of one’s own direct experience, one will this have arrived at the great truth of No-soul or Impersonality (anatta; Sanskrit anatma), showing that all existence is void of an abiding personality (self, soul, over-self, etc.) or an abiding substance of any description. Men, knowing not how to handle the tool of the mind, have become used to leaning on others and on habit; and, owing to that, this splendid tool, the human mind, has in fact become unreliable through neglect. Just as the serpent does not hesitate to fulfill the biological "law of its kind" in shedding its old skin, so right renunciation will not waver or shrink from those acts of giving up which right understanding of reality demands. Just as the serpent does not mourn over the loss of its worn-out slough, so right renunciation has no regrets when it discards what has been seen as void of value and substance and replaces it by something new and more beautiful: the happiness of letting go, the exhilaration of the freedom won, the serenity of insight and the radiance of a mind purified and calmed. It is the growing strength of this new experience which will gradually clear the road to final emancipation. Buddha advised his son Rahula: "Make disgust strong in you." ... When the disciple sees the constituents of body and mind as impermanent, suffering and not self, he becomes disgusted with them; through his disgust he becomes dispassionate, and through dispassion he is liberated. To cross the ocean of life and reach "the other shore" safely, skill is needed in navigating its currents and cross-currents. In adapting oneself to those inner and outer currents, however, one must always be watchful. The currents can be powerful at times and one must know when it is necessary to resist them. Sometimes right effort has to be applied to avoid or overcome what is evil and to produce and preserve what is good. At other times it is wise to restrain excessive and impatient zeal and revert to a receptive attitude, allowing the processes of inner growth to mature at their own rate. Mindfulness in fact has, if we may personify it, a rather unassuming character. Compared with it, mental factors such as devotion, energy, imagination and intelligence are certainly more colourful personalities, making an immediate and strong impact on people and situations. Their conquests are sometimes rapid and vast, though often insecure. Mindfulness, on the other hand, is of an unobtrusive nature. Its virtues shine inwardly, and in ordinary life most of its merits are passed on to other mental faculties which generally receive all the credit. A look into long-neglected quarters of the mind will come as a wholesome shock to the observer. It will convince him of the urgent need for methodical mental culture. The relatively small sector of the mind that stands in the intense light of purposeful will and thought is not a reliable standard of the inner strength and lucidity of consciousness in its totality. Attempts at eliminating the mind’s main defilements—greed, hate and delusion—must fail as long as these defilements find refuge and support in the uncontrolled dim regions of the mind. During decades of the present life and throughout millennia of previous lives traversing the round of existence, there has steadily grown within each individual a closely knit system of intellectual and emotional prejudices, of bodily and mental habits that are no longer questioned as to their rightful position and useful function in human life. Here again, the application of bare attention loosens the hard soil of these often very ancient layers of the human mind. The appearance in the mind of undesirable and ignoble thoughts, even if they are very fleeting and only half-articulate, has an unpleasant effect upon one’s self-esteem. Therefore such thoughts are often shoved aside, unattended to and unopposed. Often they are also camouflaged by more pleasing and respectable labels which hide their true nature. Thoughts disposed of in either of these two ways will strengthen the accumulated power of ignoble tendencies in the subconscious. The method of naming and registering also extends, of course, to noble thoughts and impulses, which will be encouraged and strengthened. Without being given deliberate attention, such wholesome tendencies often pass unnoticed and remain barren. But when clear awareness is applied to them, it will stimulate their growth. Painful feeling is suffering in itself; pleasant feeling brings suffering through its transiency and its unsatisfying and unsatisfactory nature. From a study of the discourses of the Buddha preserved in the Pali Canon, it will be seen that the idea of a personal deity, a creator god conceived to be eternal and omnipotent, is incompatible with the Buddha’s teachings. … Conceptions of an impersonal godhead of any description, such as world-soul, etc., are excluded by the Buddha's teachings on Anatta, non-self or unsubstantiality. The psychological facts underlying those religious experiences are accepted by the Buddhist and are well-known to him; but he carefully distinguishes the experiences themselves from the theological interpretations imposed upon them. After rising from deep meditative absorption (jhāna), the Buddhist meditator is advised to view the physical and mental factors constituting his experience in the light of the three characteristics of all conditioned existence: impermanence, liability to suffering, and absence of an abiding ego or eternal substance. This is done primarily in order to utilize the meditative purity and strength of consciousness for the highest purpose: liberating insight. But this procedure also has a very important side effect which concerns us here: the meditator will not be overwhelmed by any uncontrolled emotions and thoughts evoked by his singular experience, and will thus be able to avoid interpretations of that experience not warranted by the facts. 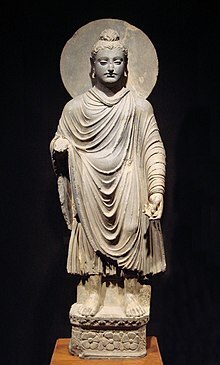 Hence a Buddhist meditator, while benefiting from the refinement of consciousness he has achieved, will be able to see these meditative experiences for what they are; and he will further know that they are without any abiding substance that could be attributed to a deity manifesting itself to his mind. Therefore, the Buddhist’s conclusion must be that the highest mystical states do not provide evidence for the existence of a personal God or an impersonal godhead. 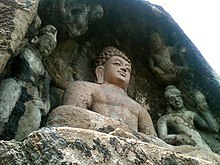 For Buddhism, however, the basic moral law is inherent in life itself. It is a special case of the law of cause and effect, needing neither a divine law-giver nor depending upon the fluctuating human conceptions of socially-conditioned minor moralities and conventions. The Buddha repeatedly discouraged any excessive veneration paid to him personally. He knew that an excess of purely emotional devotion can obstruct or disturb the development of a balanced character, and thus may become a serious obstacle to progress on the path to deliverance. The history of religion has since proved him right, as illustrated by the extravagancies of emotional mysticism in East and West. The suttas relate the story of the monk Vakkali, who full of devotion and love for the Buddha, was ever desirous to behold him bodily. To him the Buddha said: "What shall it profit you to see this impure body? He who sees the Dhamma, sees me." The ancient teachers of the Buddhist doctrine were well aware that courage is an essential feature of true faith. They therefore compared faith to a strong and courageous hero who plunges ahead into the turbulent waters of a stream to lead safely across the weaker people who timidly stop at the shore, or, excitedly and in vain, run up and down the bank engaged in useless arguments about the proper place to cross. Two factors of inner progress which supplement, support and balance each other are intellect (pañña) and faith (saddha). If intellect remains without the confidence, devotion and zeal of faith, it will stop short at a mere theoretical understanding and intellectual appreciation of teachings meant to be lived and not only thought or talked about. In the words of our simile: intellect, if not helped by the hero of faith, will merely "run up and down the bank of the stream," an activity with a very busy and important appearance but with few actual results. Intellect separated from faith will lack the firm belief in its own power to be the guide on the path of life. Without this inner conviction it will hesitate to follow in earnest its own conclusions and commands; it will lack the courage to make an actual start on the task of "crossing over." Ven. Nyanaponika did not pursue his aim of sharing the Dhamma by sweetening and diluting the original doctrine in order to make it more palatable. His interpretations of the Dhamma always flowed from a clear personal discernment of its innermost essence — the Four Noble Truths and the three characteristics — and were built upon a solid respect for the commentarial tradition that has come down from the ancient elders. He based his writings, not only upon sound and thorough scholarship, but also upon a penetrative understanding of the human condition rooted in a deep sympathy with his fellow human beings. Hence his books and essays go far beyond the repetition of stale, stereotyped formulations of the teaching. They refract the Dhamma through the prism of a highly astute Western mind shaped by the best qualities of the European intellectual heritage, presenting it in a way intended to teach, to transform, and to edify his readers at the very core of their being.